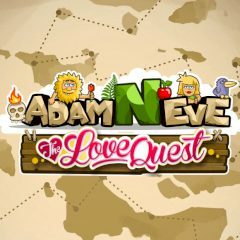 Adam is on the love quest and wants to get love potion. He has a map, but the road is full of challenges. Adam wants to get love potion, but it's difficult to find. You must complete some quests with him which lead to the love potion. Prepare to solve some riddles and have fun!